Vera Ellen Day, 93, of Smithsburg passed away on Monday, February 4, 2019 at Brookdale Assisted Living in Hagerstown. Vera was born July 9, 1925, in Bayard, WV. She was the daughter of the late McCulloh Leonard Stieringer and Lena Rachel (Leatherman) Stieringer. The role of being a mother was what she treasured the most. Her love for her family took priority over everything else in life. Her selfless love was shared with not only her family, but with all that knew her. Vera’s greatest joy in life was in being able to care for others, not expecting anything in return. 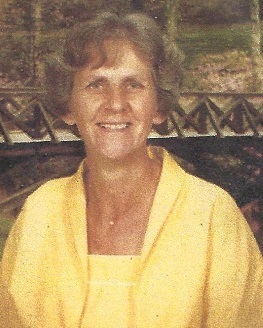 Vera was the loving and devoted mother of six children. She is survived by daughter Shirley Shanholtz and husband Ronald, son George Day, Jr. and wife Susan, daughter Rachel Rice, daughter Louise Bird and husband Douglas, son Rev. Dr. Gregory Day and wife Heather, 15 grandchildren, and 12 great-grandchildren. She is also survived by a brother, Matthew Stieringer. She was preceded in death by her husband, George Day, Sr., son Jon Day, son-in-law Richard Rice, three brothers, and five sisters. Services will be held at 11 a.m. Friday, February 8, at Emmanuel United Methodist Church, 802 Summit Ave. in Hagerstown. The family will receive friends beginning at 10 a.m. Rev. Randy Reid and Rev. Dr. Greg Day will officiate. Interment will be at Rest Haven Cemetery in Hagerstown at the convenience of the family. Memorial donations may be made to Hospice of Washington County, 747 Northern Avenue, Hagerstown, MD 21742 or your favorite charity. Arrangements were made by J. L. Davis Funeral Home, Smithsburg, MD and online condolences may be offered at www.jldavisfh.com.